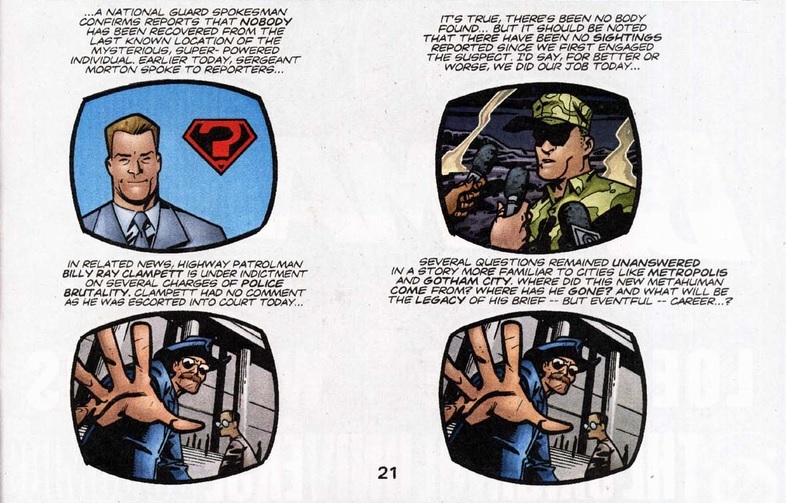 scans_daily | Casey & Aucoin's pacifist Superman, Part 1 - "Authorized"
This is a run I'm so fascinated in but have been unable to find a complete collection of. Thanks for sharing! Can't wait to follow along. 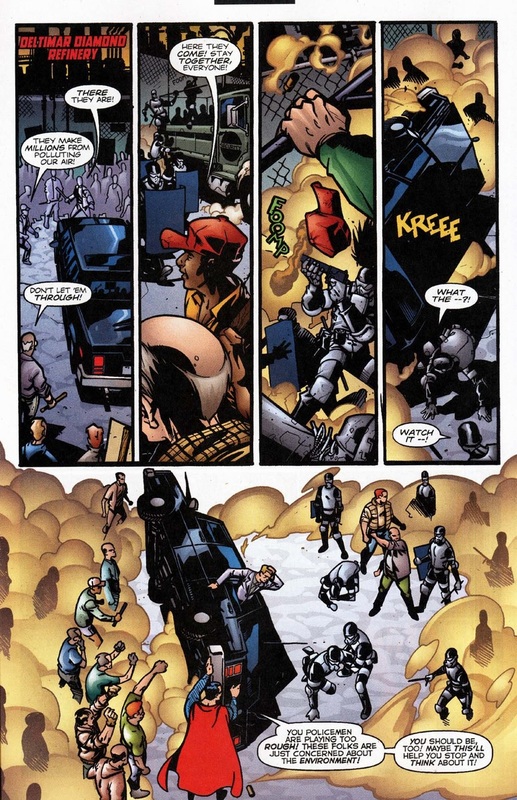 Captain America: Sam Wilson, this Superman, Savior 28- all part of the same conversation. 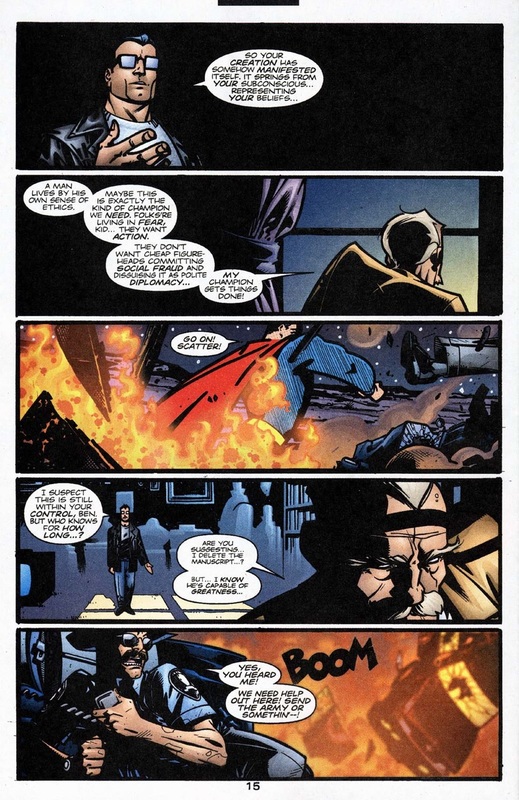 The way things are right now, that Superman seems like exactly the one we need. Comics suffer from a need for combat. Either the Joker escapes every other week or you keep making new villains. If you keep making new villains then that says something dark about human nature, that the villains outnumber the heroes 20:1. 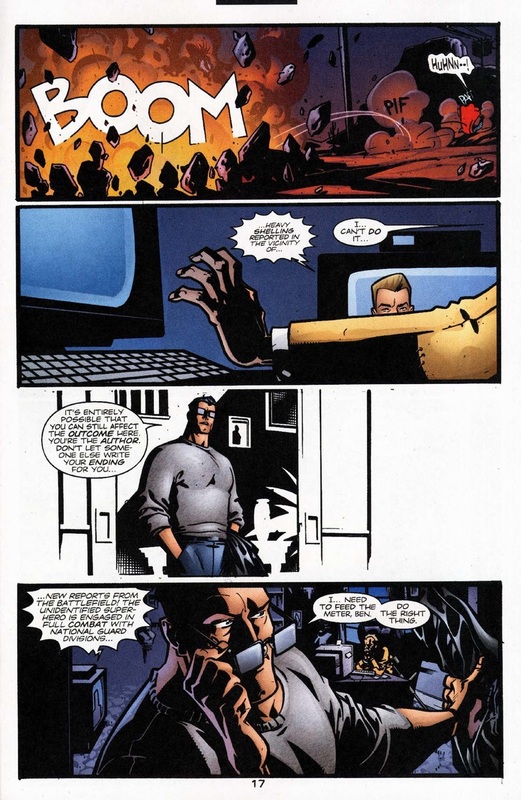 If you make the villain all aliens or demons, then it detracts from the street level stories. That's why we have groups like Intergang, because without super-science Superman could just fly in and capture every terrorist. 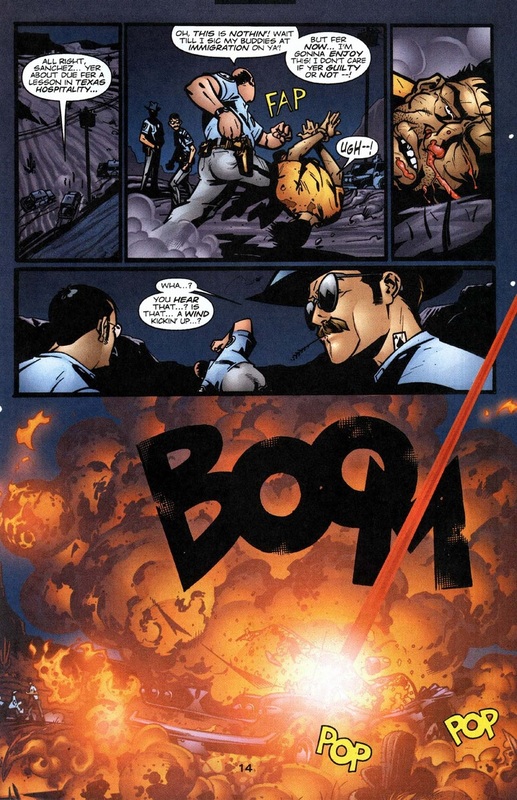 In most DC comics, you don't have Al Queda, you have the Mandarin, you have Doom. And that's because we need evil doers with their own tech and powers or it reflects poorly on the superhero. The Authority was too cynical for my tastes, but there were parts that I really liked. A free webcomic I once read where alien entity lived as a human and actually helped fix social problems was called La Muse. If you google it you'll probably find it. I disliked the ending because the reality warper got a bit psychically pushy, but other than that she was way better than the Authority. 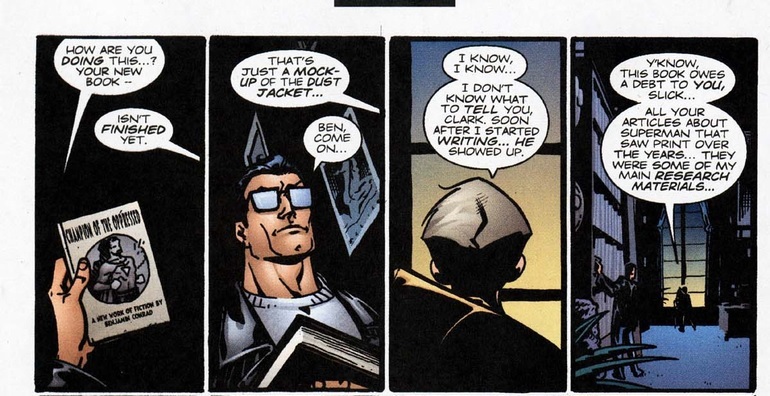 This is an amusing reference to ACTION COMICS #1, and what Superman was "originally" like. 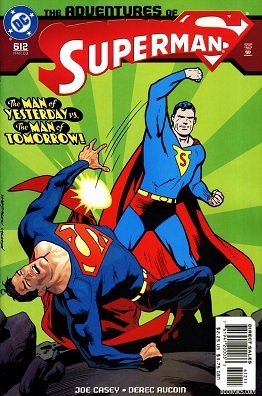 As naive and adolescent as it is to try to bully the world into niceness, I love Siegel & Shuster's early Superman. He wasn't for nor against the system. He was outside the system, judging the corruption in the system. Its like a nicer version of Injustice Superman. So, the TV things... I'm used to seeing those in Frank Miller's Dark Knight stuff. Is this a visual reference to that, or did those originate elsewhere? 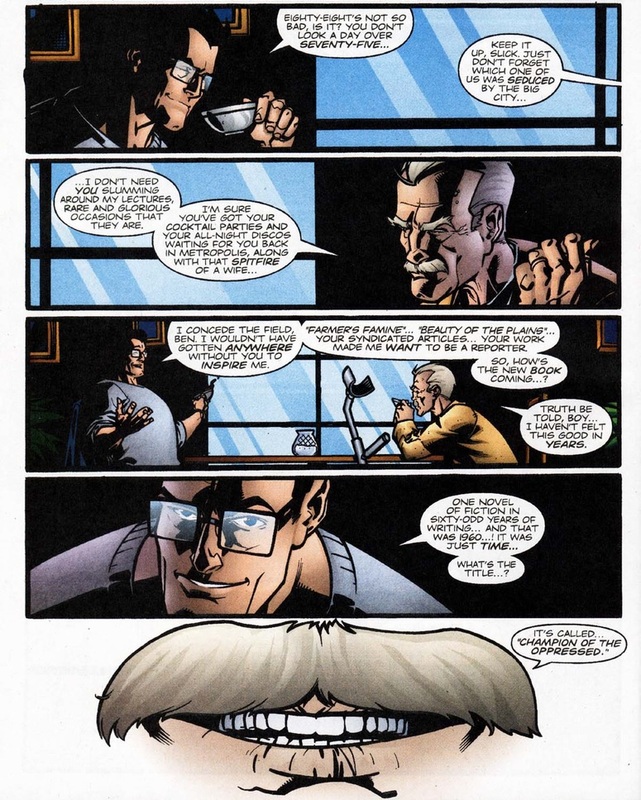 DKR wasn't even the first time Miller used it (I believe it shows up several times in his Daredevil run), but it is undoubtedly the most well-known, so probably.